Egypt's newly sworn-in Cabinet is adamant to continue reforms, development programmes, and national projects, Prime Minister Mostafa Madbouly said at the Cabinet’s first meeting Wednesday, according to a Cabinet statement. The new Cabinet will focus on a number of issues, at the top of which is national security, improving the quality of life for the Egyptian people, economic development, education, increasing the government’s efficiency, and foreign policy. On protecting national security, the government is set to continue the fight against terrorism, continue efforts to face radical thought, and raise awareness about the government’s strategies to protect Egypt’s water rights, according to the statement. The government is expected to work on improving quality of life for citizens through controlling prices and markets in a way that prevents monopoly. This role includes implementing punitive measures for traders who exercise price manipulation and monopoly practices and launching security and control campaigns to combat such practices. The government will also improve online services to ease procedures and expand the umbrella for social safety programmes and insurance to include more people who are in need. As for economic development, the government is targeting a 7 percent annual GDP growth rate, decreasing the budget deficit, while still taming inflation, generating jobs and decreasing unemployment rates. The government also wants to solve the problems of stalled factories that suffer from poor financials, ease procedures to get new factories operating, support SMEs and micro enterprises – especially in Sinai and Upper Egypt – work on establishing national industries to bring in more foreign currency, and focus on increasing tourism revenues. On education, the Cabinet aims to build a “national identity” in school curricula “to strengthen the culture of citizenship and belonging,” the Cabinet statement read. A “message” from the media will also be developed to match the government’s strategy to support “principles of patriotism and belonging,” according to the statement. The government will work on making its work more efficient by decreasing government expenses, boosting coordination between ministries, and focusing on unleashing the potential of women and young people. On foreign policy, the government is set to boost its leadership role in the region and focus on building trust and developing common interests with African nations, especially Nile Basin countries, through cooperation on sustainable development projects. The Cabinet is yet to submit its programme to parliament. 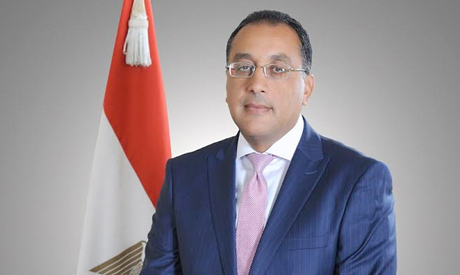 Prime Minister Mostafa Mabdouly is set to deliver a policy statement to parliament on Saturday, which should receive a vote of confidence from MPs within 30 days.